Why Version 2.1. Because, the finished pattern explained here will be the same as Version 2, just constructed differently. 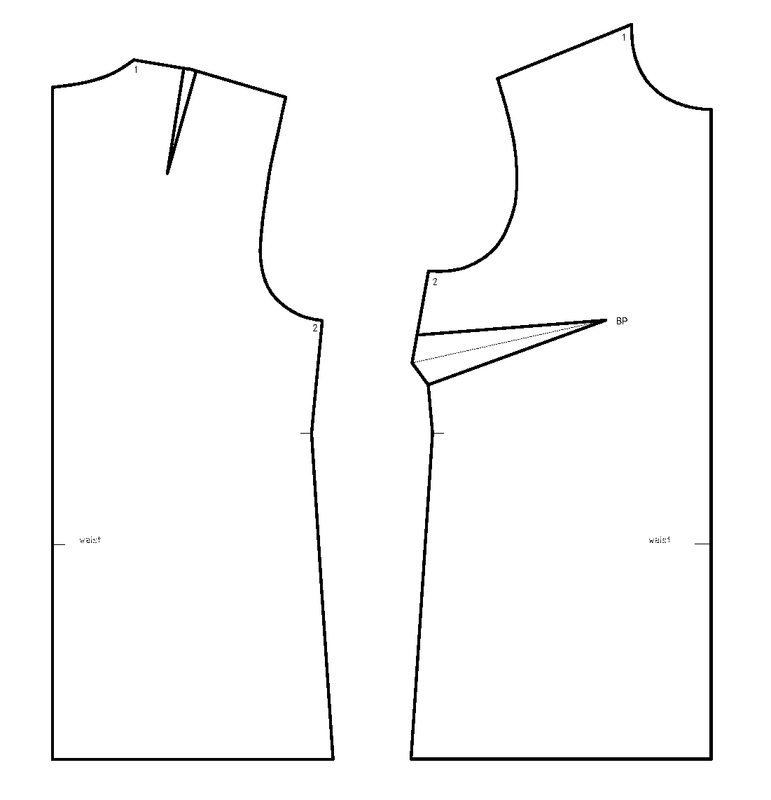 This steps assumes that your sloper has two waist darts - one that starts at the BP, and the one about halfway between that one and the side seam. Step 1: So.... lets start with the sloper again. Trace it to a separate piece of paper, but this time copy the middle waist dart, the one that starts at the dart. 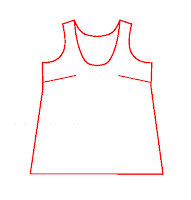 Also, draw the new neckline and points E and E1 (see Step 7 here to see how to draw in E and E1; remember, this is only for deep necklines, they need to be tightened so they lay flat; if your neckline is not as deep, you can skip this). Step 2: Cut this pattern out, cut the waist dart you traced and close it (tape the two pieces together, will be easier to trace around). Draw a new dart position 6 cm down from the top of side seam (line A - BP). Also draw a line straight down from BP to waistline. Draw another side seam 1 cm in from the original one (this is to take in some width). Trace from E1 along the neckline and down the midline, to waistline and then along the waistline to the dashed line down from BP. Step 3: Cut along the dashed line from hem to BP, also cut out the little "dart" from BP to E to E1. We will move this "dart" (as in Version 1) into the waist. 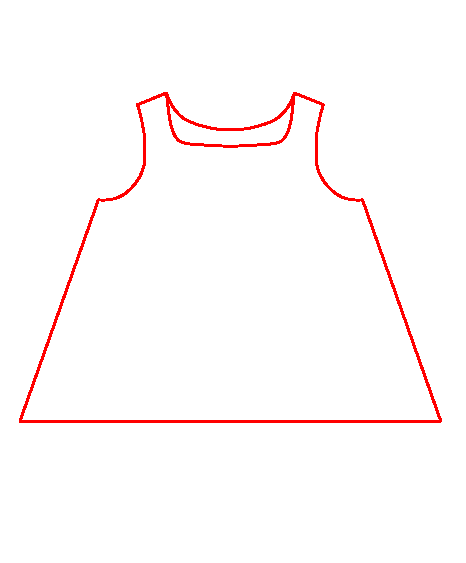 Rotate the shoulder part until E meets E1. Tape it. Trace up from E/E1 along the neckline, shoulder and down the arm opening to the start of the bust dart. Step 4: Cut out the dart; cut along the A - BP line - the position of the new dart. Close the old dart (make sure you are not moving the midline, and the neckline) and open the new one. Step 6: smooth the neckline, draw in the new arm opening (see Version 1 for details), finish drawing the dart (see Version 1 for details). Cut out. In the next picture, I compare Version 2 and Version 2.1 patterns. As you can see, you cannot see the difference. I didn't expect they would match so well, and it might not work for all sizes, or different slopers, but at least I proved to myself that there are different ways of getting to the same final pattern.